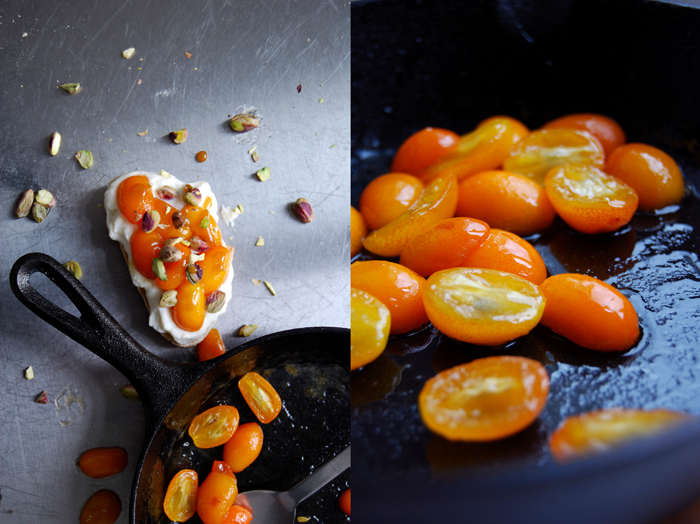 A handful of little kumquats have been lying on the window sill for days challenging my kitchen creativity. They were the meager leftovers from my bean and pea salad and I didn’t really feel too inspired to use them. Although I really like these concentrated citrus fruits in combination with vegetables and dairy products, I’m not too fond of eating them on their own, so I had to come up with an idea which would fit their biting tanginess. I thought of Malta, one of my biggest inspirations and answer to all sorts of open questions in my life. We just booked our flights for this summer, so it’s been on mind since I clicked the confirmation button on the booking page. All that Mediterranean food, our family, friends, snorkeling, the sun and blue sky above my head every day, just the thought of it makes me so happy! And we’ll have a very special guest over for a few days this summer which makes me even happier (and more excited if that’s even possible): Holly, my editor, will visit us from New York to learn more about the country and culture that I praise and write about so much. I’m as excited as a child to show her around, to introduce her to my perfect spots for snorkeling and food, our favourite beach bar for a glass of Ricard in the sunset, my Maltese mama’s and grannie’s kitchens in Msida. I want to walk though the old streets of Valletta and Mdina with her and show her where to enjoy the best pastizzi, qassatat and Spaghetti Rizzi (sea urchin pasta), so much that was once new to me many years ago and opened the door to a mentality that’s so different to mine yet filled my life with so much fun and love! 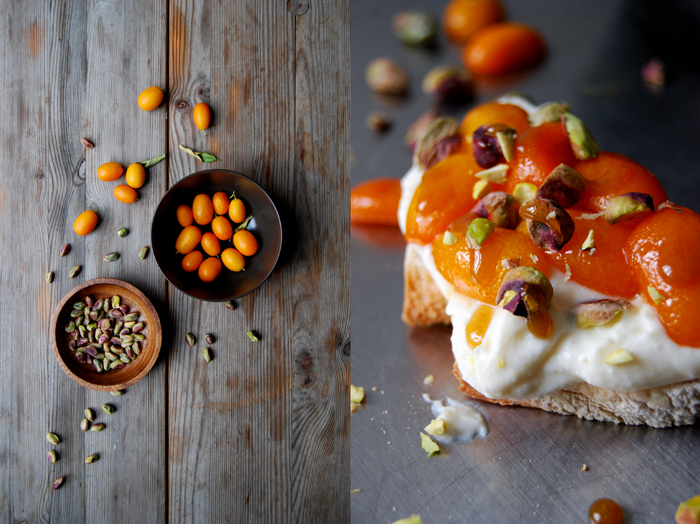 When I think of Malta, ricotta comes to mind, honey and orange blossom water, I just had to add my kumquats and a few pistachios (unsalted!) and all of the sudden I could see a new sandwich creation before my eyes. I whisked the dairy product with some honey, orange juice and blossom water and spread this sweet dip voluptuously on a slice of fluffy ciabatta bread. The citrus fruit came next, I caramelized the kumquats in honey to soften and sweeten their skin which made them a little sticky and juicy. 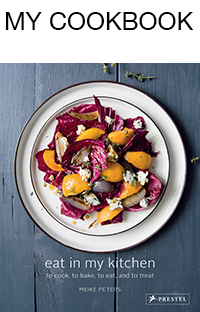 The crunchy pistachios finished it off and gave this Mediterranean combination an oriental touch. It was as bright as the sunset in Malta and tasted wonderfully sweet and sour! 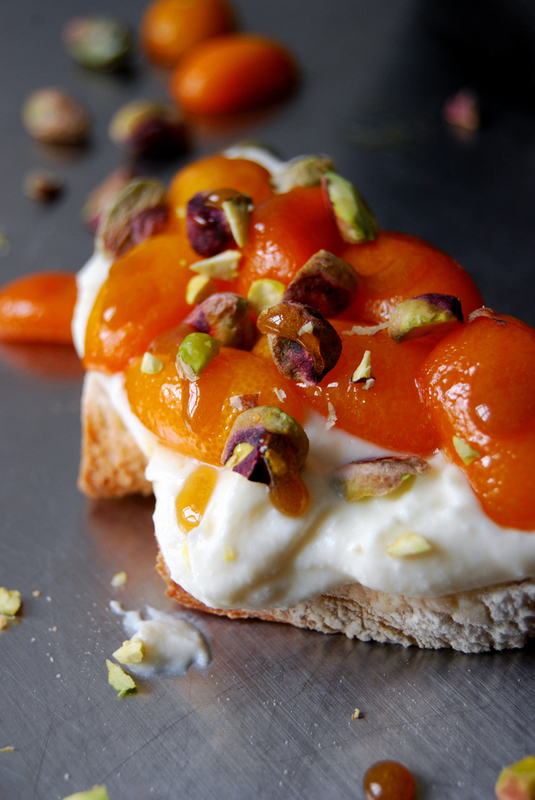 Whisk the ricotta with orange blossom water, 1-2 teaspoons of honey and 2 tablespoons of orange juice, season to taste. Heat 3 heaped teaspoons of honey in a heavy pan, add the kumquats and 2 tablespoons of orange juice and cook for about 2 minutes on high temperature or until the citrus fruits start to soften. 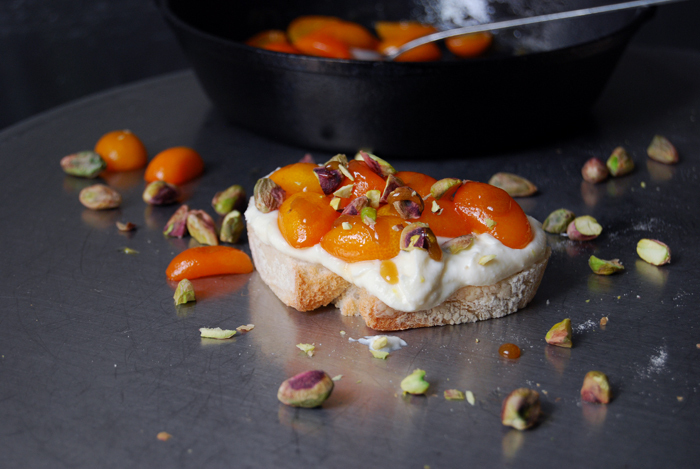 Spread the ricotta dip on the bread, lay the kumquats on top and sprinkle with the juices from the pan and the pistachios. Enjoy! Hey! I’m great, I just finished my English book and now I’m working on the German translation – I’m busy and happy 🙂 I hope you’re doing well too! I loved this sandwich, it was soooo good, I think I have to make it again soon! All the best from Berlin! 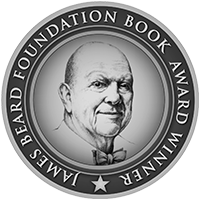 Oh my goodness, this looks delicious. I wish I could just reach into the screen and scoop it up! Wow! I would’ve had this right now for breakfast! 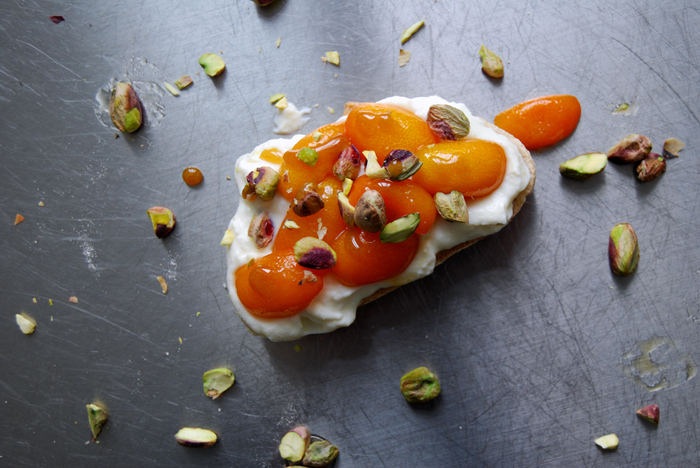 The combination of citrus, ricotta and orange blossom water is always a win-win. 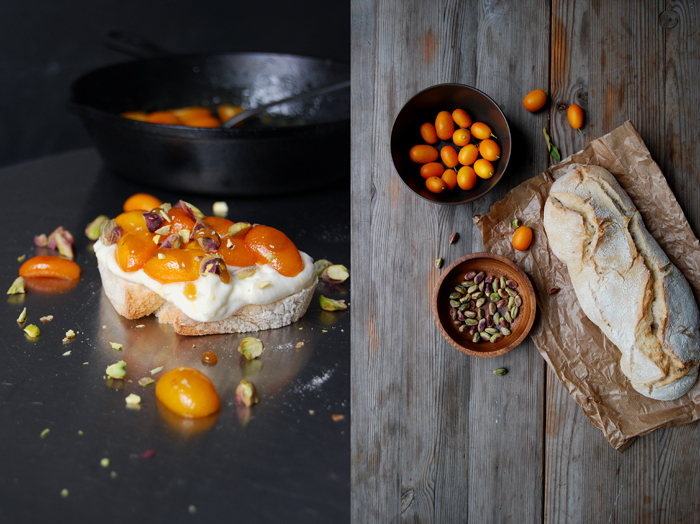 In Italy in Spring time they make Pastiera (wheatberry pie) with that, and I made a cake too!